San Francisco — Gallery Wendi Norris is pleased to present Science in Surrealism, the first exhibition devoted to Surrealist artists who were interested in investigating the scientific advances of the first half of the twentieth century, especially those related to quantum physics and the Theory of Relativity. 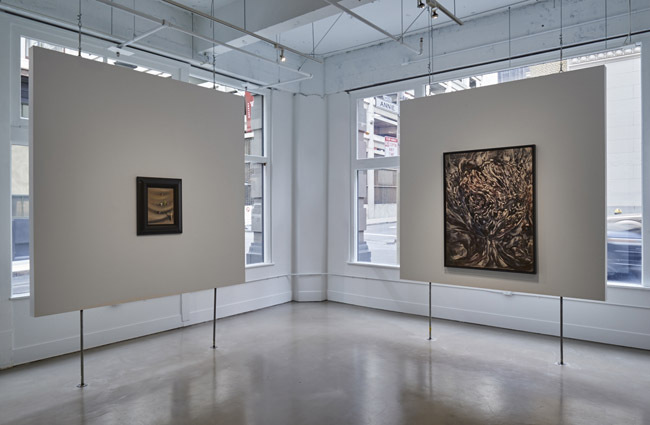 The exhibition, which opens Saturday, May 16 and will be on view through August 1, will include a selection of pristine works that have rarely been exhibited, including oils by Victor Brauner, Max Ernst, Marcel Jean, Matta, Gordon Onslow Ford, Wolfgang Paalen, Kurt Seligmann, and Yves Tanguy, as well as a selection of rare 1930s works on paper by František Janoušek. The exhibition will be accompanied by a 70-page, hardbound catalog featuring an essay by Gavin Parkinson, Senior Lecturer of European Modernism at the Courtauld Institute of Art in London. Parkinson is also the author of Surrealism, art and modern science (Yale University Press, 2008), which served as the jumping-off point for the exhibition’s curatorial framework. Investigation of “the new physics,” as it was referred to at the time, was spearheaded by scientists such as Albert Einstein, Niels Bohr and Max Planck, among others. Its impact is reflected throughout the work of many Surrealist artists and writers in abstracted yet definitive ways. Matta’s paintings evoke the random scatter of subatomic particles; Max Ernst drew analogies between the Eros of psychoanalysis and the electromagnetic attractions and repulsions of mathematical science; Gordon Onslow Ford was known to have engaged in ongoing research on the links between art and metaphysics throughout his practice; František Janoušek’s drawings feature symbolic objects with explicit anthropomorphic associations; Wolfgang Paalen titled his paintings with reference to science, using names like Between Matter and Light Unbound and Space Unbound; and Yves Tanguy incorporated geological imagery sourced from his travels through Africa into his canvases.